The Main Quad (central grassy area) is one of the best things about Somerville. Unlike other colleges you can walk on the grass, and even play croquet! 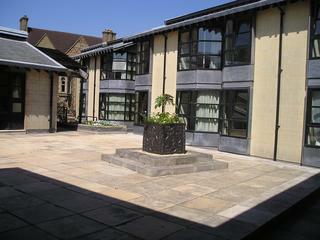 Margery Fry and Elizabeth Nuffield House is the centre of the Somerville graduate community. It is named after Margery Fry, Principal of the College from 1927 to 1930, and Elizabeth Nuffield, wife of Lord Nuffield, who provided the funds which enabled the completion of the building. It is almost universally referred to as Margery Fry. 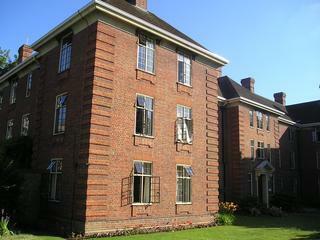 The building contains 24 graduate rooms, the Middle Common Room, a TV room, kitchen and dining room, laundry and computer room. As for the architecture, well, it was the 1960’s, everyone was doing it! The Lodge, staffed by the Porters, is located immediately inside the main entrance to College. Students’ pigeonholes are located in the Lodge. The porters are responsible for issuing keys to students and are happy to help you find any College office/room. The Somerville Library is one of the larger College libraries. This comes from the time when Somerville was a women-only College, and women weren’t allowed to use the collections of the Bodleian library, The library is open 24 hours a day for College members. Maitland is named after Agnes Maitland (Principal 1889-1906). It contains mostly Fellows’ offices, with a few student rooms. The IT office is located on the top floor, and the IT Help Desk is located on the ground floor. 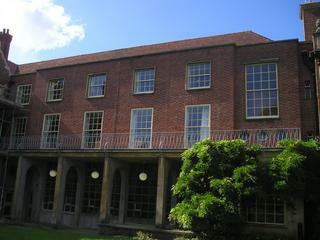 House (originally Walton House) was the original building on the site which is now Somerville College. It contains the College Bar, most of the offices of the College administration, and some students and Fellows’ rooms. Hall, unsurprisingly, is the location of the dining hall. The Reading Room, often used for drinks receptions, is located off the end of the Hall. The Senior Common Room (SCR) and attached Private Dining Room (PDR) are located on the ground floor, below the dining hall. The main entrance to Hall is via House. There is a back entrance under the loggia between Hall and Maitland. The Hall itself is a large wood-panelled hall, differing from other Oxford Colleges in having portraits of women, rather than men, on the walls. The non-denominational Chapel was built in the 1930’s after an anonymous donation of funds for the purpose was received. There was some controversy over its building, as one of the principles on which the College was founded was that students should be subject to no religious tests or obligations. Services are held every Sunday evening in term time. 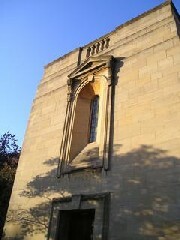 The Chapel is also used for musical performances. Park is named after Daphne Park, Baroness Park of Monmouth (Principal 1980-1989). 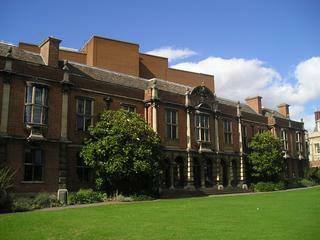 Park contains a large number of students’ rooms and Fellows’ offices, as well as a Junior Common Room (Park JCR), a music room, and the Palmer Room, the College’s main computer room. Park is one of the older building in College, and was originally known as West, due to its location at the western end of the College site. The Margaret Thatcher Centre, is named after Prime Minister and Somerville alumna Margaret Thatcher, Baroness Thatcher of Kesteven. The MTC is used for various College events (including the MCR/SCR symposia), and for conferences. Darbishire is named after Helen Darbishire (Principal 1930-1945). It contains a large number of students’ and Fellows’ rooms, and the College Medical Room. Darbishire was built in the 1930s, and designed by the same architect who designed the College library. 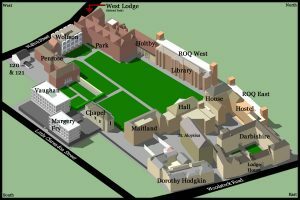 It was originally known as East, due to its location at the eastern end of the College site. Penrose is named after Dame Emily Penrose (Principal 1906-1926). It contains approximately 30 student rooms on three floors. Penrose was built in the late 1920’s; the rooms have wooden floors and fittings and (non-functional) fireplaces. Wolfson is named after Sir Isaac Wolfson, who provided the funds for its construction. (Wolfson College is also named after him, for similar reasons). Wolfson contains students’ and Fellows’ rooms on three floors. On the ground level is newly renovated Flora Anderson Hall, used for bops, lectures and other events. Wolfson was built around the same time as Vaughan and Margery Fry, but is less obviously a product of its era. Wolfson is a grad-II listed building. Holtby is named after Winifred Holtby, a former English Tutor at Somerville. Holtby has around 10 undergraduate Rooms. 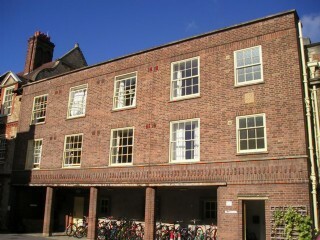 Hostel, located on the site of the former stables, has 10 student rooms. The Bursary is located on the ground level. Dorothy Hodgkin Quad is named after Nobel Prize-winning Somerville alumna Dorothy Hodgkin. Together with the Margaret Thatcher Centre it is the newest part of College. Rooms in DHQ are usually reserved for undergraduates in their final year. ROQ East & West part of the on-going redevelopment of the Radcliffe Observatory Quarter, ROQ is exclusively undergraduate rooms. 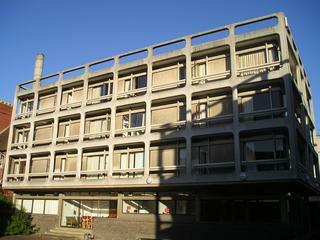 120 & 121 Walton St are used for undergraduate rooms.